I have been teaching yoga for over 10 years, and am a yoga teacher and yoga therapist. 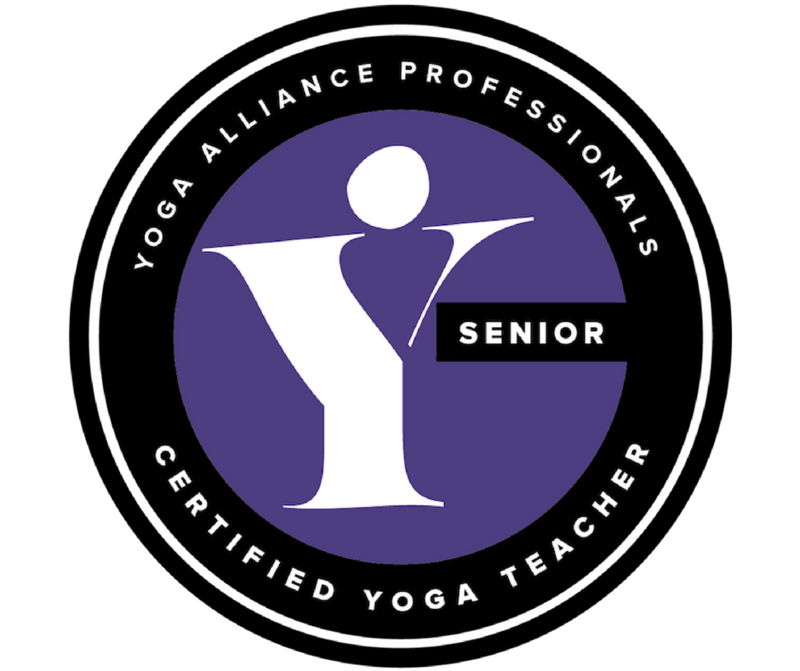 I initially trained with Ruth White's Iyengar-inspired Karuna Yoga school, then with the amazing Shiva Rea's Samudra yoga school with some 4000+ hours of yoga teaching experience, and now a qualified yoga therapist and Yoga Alliance Professionals - accredited SYT (Senior Yoga Teacher). So how did I get here? My mother said I could dance before I could walk... So goes the song and it's definitely my song. I was a crazy keen dancer as a kid. I've studied many many dance styles, and yoga has always been in my life too. I used to do yoga with my mum to TV programs with a lady called Lynn Marshall. When I went to uni I used to use her books to do yoga in my room. I've always loved it. I spent my 20s trying different styles and teachers, but it was after I had my first baby that I found a teacher that I really loved, and he helped me start on the teaching path. The teacher I first trained with, Ruth White, was a student of Iyengar when he first came to London with Lynn Marshall, the lady who I practiced with all those years ago with my mum... All is connected! Then in 2015 I smashed my back up in a ski chair lift accident and thought my physical yoga was at an end. I have a ruptured disk and a whole bunch of metalwork in my back, but my yoga practice helped me rehabilitate really quickly. This inspired me to work with others in therapeutic and physical rehabilitation yoga. I graduated in 2018 from the prestigious YogaCampus Yoga Therapy diploma and love to work 1:1 with anyone who is suffering from pain or stress, or conditions that can be exacerbated by stress – respiratory, autoimmune conditions… I have had some great results with asthma and Crohn’s disease sufferers. I’m also a little hypermobile, and have had great results working with others who suffer from the many symptoms of this condition. I am a very proud mother of two young men, and my own birthing experiences (one particularly which was an unpleasant and disempowering experience) mean I am also committed to transforming and empowering women's birthing experiences. I am a trained doula (birthing assistant) which informs my 'Radiant Goddess' Prenatal Yoga classes, and now also ‘Radiant Wisdom Goddess’ for women transitioning through and beyond menopause. I am a spiritual seeker, a ferocious reader, a poet, a writer, am embracer of all spiritual traditions and passionately driven to transform and empower all to bring more joy into their lives. In 2016 I launched my own 200 hour Yoga Teacher Training Course, so if you feel inspired to take your yoga practice further, I'd love to guide you in your journey. My 300 hour advanced training course is launching this year.